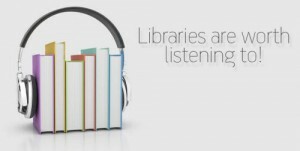 Audio Library – A knowledge base you can’t ignore! Along with the digitization of books also came the digitization of audio. Audio has become very accessible in many different media form these days and digital audio has become the number one medium for music for quiet some time now. All our libraries are ongoing projects and are continuously updated. Feel free to browse the complete library and to elevate your knowledge in doing so. In this extensive archive we present a large amount of episodes of the Radio Show Coast To Coast AM with Art Bell.